Asus recently launched the ZenFone Selfie in early October, of which we had the opportunity to test it out first-hand during their ZenFestival launch that took place at Chijmes. Let’s talk about what makes the ZenFone Selfie a favourite among the crowd. 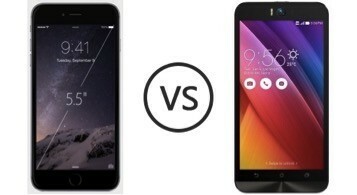 Being identical in its screen display size to the iPhone 6 plus (5.5 inches), the ZenFone Selfie (170g) weighs just slightly lesser than its counterpart (172g). The ZenFone Selfie comes in a smooth, matte plastic finish, which is good news to many. Not only will fingerprints be harder to spot, but the matte finish also gives the user a firmer and more comfortable grip to the phone. Featuring the industry’s first octa-core 64-bit processor, the ZenFone Selfie secures a seamless balance of battery efficiency and multimedia performance. CNET did a video loop test on the ZenFone Selfie that lasted 12 hours and 29 minutes. Coupled with the fact that it has a removable battery, I won’t have to worry about my battery life when busy snapping photos (or Selfies) on a trip with a charged spare on hand. With its 13MP resolution front-facing camera, it’s also equipped with an f/2.2 aperture and 88-degree wide-angle, which makes it easy to capture you and the background in a Selfie. What’s outstanding about the ZenFone Selfie is that the PixelMaster front-facing camera includes a ZenUI Beautification mode for instant photo editing at your fingertips. The Beautification mode embeds functions that automatically helps soften facial features, slim bloated cheeks and brighten skin tone that amplifies vibrancy, all in real time. Assembled with a unique Selfie panorama mode that enables photo-taking of up to 140 degrees, the ZenFone Selfie has definitely taken its aim at Selfie lovers. The low-light performance of the ZenFone Selfie promises to increase light intensity up to 4X, without the use of a flash. This is the function I have been looking for night outdoor shots! Unparalleled across smartphones in the industry, this function turned out to be really accurate when capturing pictures at night. Through the added combination of image-processing algorithms, the ZenFone Selfie enhances noise reduction and boosting of colour contrast up to 400% as seen in the photo below! When it comes to taking pictures of moving objects, photos usually turn out to be on the blurry side because the shutter speed equipped doesn’t justify the quality of the image. With the Zenfone Selfie’s new laser Auto-Focus for the back-facing camera, it captures an image as quick as 0.03 seconds with incredible clarity. Personally, my favourite function of the ZenFone Selfie is the built-in macro function. Its five prism Largan lens are transported with high-precision motor that maximises the focal depth for extreme close ups on objects as close to 6cm. 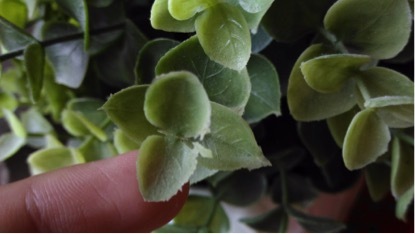 This is extremely helpful when it comes taking close-up nature shots. Another added on function on the ZenFone Selfie is the ZenMotion. We often miss out opportunity to snap a picture when something happens in the blink of an eye. This new feature helps to save the time and effort needed to launch the camera application, by allowing us to launch the front-facing camera mode immediately with a simple ZenMotion gesture. 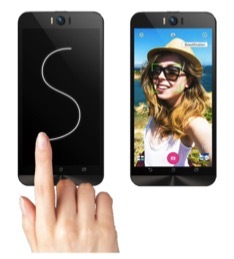 This means that when your screen is turned off, you can simply draw an S on your screen and it will take you directly to the front-facing camera mode. Won’t this simplify your life when you want to capture a quick photo? Other applications like the browser and your photos are also easily accessible with the ZenMotion. You won’t have to waste as much time sourcing for the desired application in your new ZenFone Selfie. The ZenFone Selfie boasts a Gorilla Glass 4 display. Tested to withstand twice the damage, your phone screen has an 85% lower chance of cracking when dropped. The Gorilla Glass 4 display pretty much secures your screen even without a screen protector, this works against rough surfaces as well! 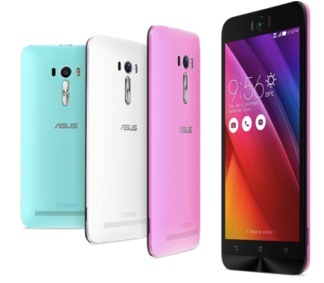 ZenFone Selfies are available in Tiffany Blue, Pure White and Baby Pink. Though most of the functions of the ZenFone Selfie remain similar to the other ZenFone series models, the newly improved camera features makes ZenFone Selfie by far my preferred choice of smartphone for traveling. If you’re not the type who would spend hours editing a single selfie (i.e. fuss-free selfie), then this is the phone for you. 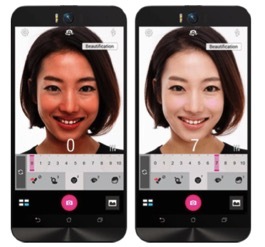 With the ZenFone Selfie, you can probably say goodbye to filters. For all those Selfie Lovers, the ZenFone Selfie is a must-have for you!